Motorola sure is quick with announcing new smartphones. 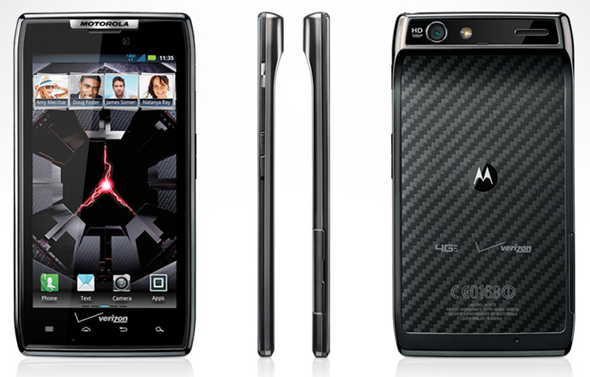 We saw the Droid 3 and Droid BIONIC released recently and we are just a week away from the release of the Droid RAZR which is a high-end superphone exclusive to Verizon Wireless in the USA. Droid RAZR is just another Motorola phone which has been rooted before it has been released because it, apparently, is subject to the same exploit that was used to root Droid 3 and Droid BIONIC. We’ve got the step-by-step guide for your perusal after the break! News of the root comes from Droid-Life – a blog dedicated to covering all things Android – in a post where they share a photo of rooted Droid RAZR with superuser (read: root) access. The method for rooting the Droid RAZR is exactly the same as the method used to root Droid 3, Droid BIONIC and older phones like the Cliq and Cliq 2, Droid 2 Global, Droid X/X2 and Droid Pro. It is based on an exploit discovered by djrblissand the tool has been written by framework43/psouza4. It is quite a simple procedure and, if you know how to work your way around a computer, you should be able to get your as-of-yet unreleased Droid RAZR without a hitch. Still, as with any hacking/rooting procedure, there are risks involved so you must consider them and proceed carefully. DISCLAIMER: Redmond Pie is not to be held responsible for any loss of data as a result of the malfunctioning of your Motorola Droid RAZR. Step 2: Download MotorolaOnceClickRoot_psouza [Mediafire Link] and extract its contents using a suitable software (7-zip is highly recommended). Step 5: Navigate to where the folder you unzipped in Step 2 to and run MotorolaOneClickRoot.exe and follow on-screen instructions to get root access to your Droid RAZR.